Cell phones are everywhere! However, one place they shouldn't be is in your hand while you are driving. While tech firms definitely want you to use their products, they also want you to be safe. They want to make roads safer. Tech companies are doing this through smartphone apps which are designed to prevent distracted driving. This app works like a teacher. Its target market is new drivers who are learning about driving policies. This app also monitors speed, as well as blocks texts, calls and updates while the car is moving. DriveScribe incorporates GPS, social media, real-time feedback and a jamming function so it can block texts and calls. Not only that, this app also informs drivers when they’re going too fast and sends reminders to slow down. You can let your phone stay in a cup holder or on the car seat, where you may be less likely to reach for it. All it takes is one tap before you start driving to get the app started and another to end it. Also, parents can sign up for updates. They will be notified in case their teen violated any roadway rules. With the help of this app, you can customize locations and times when you don’t want to receive text messages or phone calls. This means you can specify the usual hours you are driving to and from work or school and prevent yourself from getting distracted. tXtBlocker is compatible with a wide range of smartphone brands and is available at $6.99 per month rate for a single user. 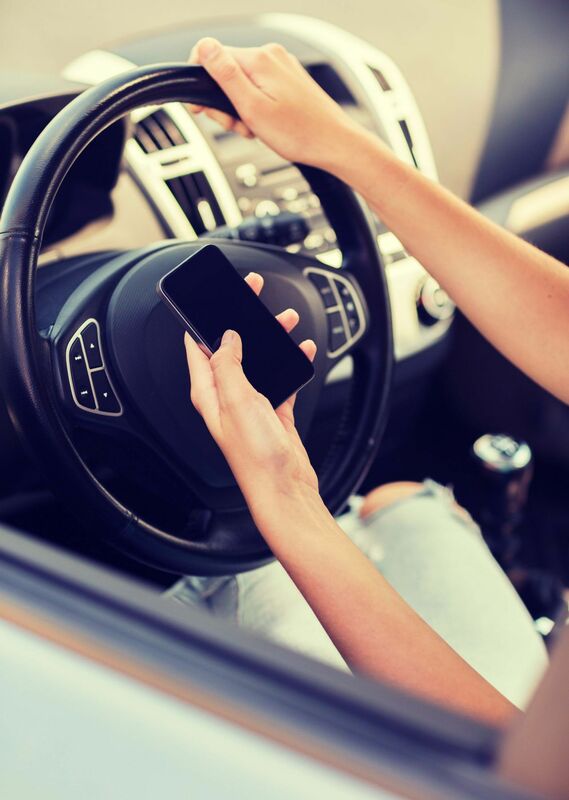 Insurance company Esure brings this app which hopes to help reduce distracted driving incidents. This app detects when drivers are going over 10mph. As a result, it will automatically close other apps that can be potentially distracting. It also blocks incoming text messages and calls while driving. Brought to us by Sprint and available to Sprint-powered smartphones. Sprint Drive First automatically locks your smartphone when it senses that you are driving faster than 10mph. It helps keep your eyes on the road. Another good thing about this app is that people who call or text you are notified that you are driving. Even when your phone is locked, the home screen is still displayed showing exit and emergency 9-1-1 buttons. The app is overridden when you click either of these two buttons. Your parent or the account holder can also choose to be alerted when the app has been overridden. According to statistics, car crashes are the number one killer of American teens. Don't let an accident happen before you take steps in preventing road accidents. It's important to remember that using your phone while driving is dangerous even with these apps. Please always pay attention to the road and know what is going on around you. As a Kentucky Accident Attorney, I am glad that tech giants recognize the perils of distracted driving and are extending efforts fighting it.